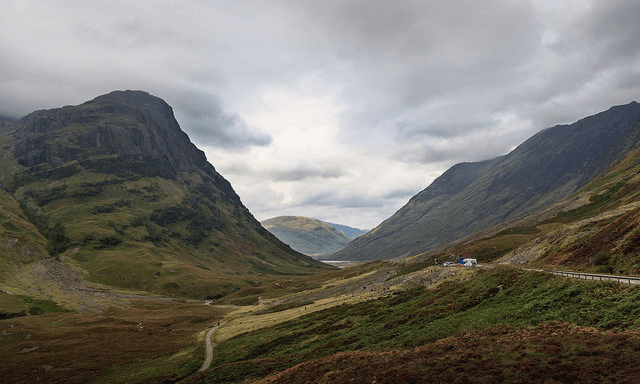 The Highlands are irreplaceable — yielding some of the finest single malt Whisky in the world. But there is something magic about Ross-shire. Along the southern coast of the Dornoch Firth, at the base of ancient, Celtic limestone hills, a cluster of natural springs feed a blessed few distilleries, with what may be the best water in the world for Whisky. John Ross founded Balblair in 1790. The water is so special, so integral to the spirit, that when they built a new distillery closer to the railway station in 1895 to expand production and facilitate distribution, they still piped water from the previous location. Yep, it's that good. The distillery stayed in the family for two full generation as John's son Andrew took over in 1836. Ownership has changed hands a few times since then, but no one has changed production methods. Today they are owned by Inver House Distillers (sometimes called InterBev). To this day they have only 1 wash and 1 spirit still, and 100% of production goes into their single malt vintage series — each one unique, rare, and special. For a two-still shop they turn out an impressive amount of spirit with a capacity of 1.8 million liters per year. Their 1989 Vintage was awarded "Best in Class" and listed in the famous book "101 Whiskies to Try Before You Die." The Flavour Spiral™ shows the most common flavours that you'll taste in Balblair Scotch. It's based on all Balblair drinks in our large database and gives you a chance to taste Balblair before actually tasting it. Balblair has one of the oldest set of records in Whisky history. The entry is dated January 25, 1800, and is written by John Ross himself. It reads: "Sale to David Kirkcaldy at Ardmore, one gallon of whisky at £1.8.0d." Cool, right? The cherished water source is the Ault Dearg Burn (burn means stream). Working at Balblair is a pleasure for me. I genuinely look forward to going to the distillery to start a day's work at such a beautiful location, a fantastic location. It's a typical distillery. It's just what you'd imagine a distillery to look like if you hadn't already visited one and it's steeped in history. And the workforce that they have there, they take good pride in what they do. They are very passionate about Whisky. Balblair is a very, very fruity Whisky, very, very flavorsome and has no harsh elements at all and it's very smooth and a very long lasting finish to the Whisky as well. And I see fruit as being like the core elements of Balblair and these will change from vintage to vintage, and we are the only distillery that offers exclusively vintage Whiskies. And we can really cherry pick the best casks from these years. I guess that's great freedom there, but it also puts pressure on us, good pressure, to maintain that quality for future vintages. The Balblair philosophy is not to rush the process. It does take us longer to achieve the end result, especially when the spirit goes into casks and then goes into maturation and the cask will sit there for, it could be 10 years, it could be 15 years, but really the Whisky tells us when it's ready. It will reach an optimum point of flavors and aromas and once it reaches that point, it's then timed to perfection.